Unearthing Mars 2 is a futuristic FPS VR shooter from beginning to end, featuring slow-motion superpowers, distinctive weapons and challenging boss battles. You will experience adrenaline-pumping FPS combat as you shoot down enemies and bend time to your advantage. 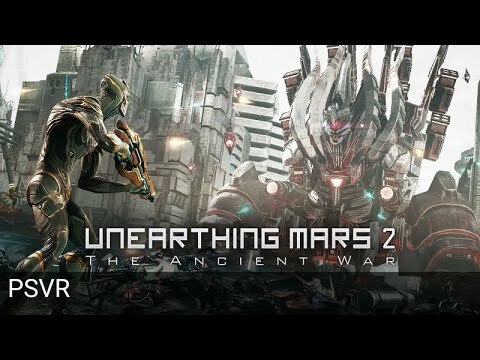 Unearthing Mars 2: The Ancient War was released on PS4 218d ago in the US and the UK. Notify me when Unearthing Mars 2: The Ancient War is available.